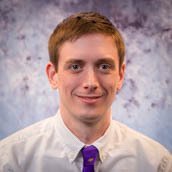 Joe Loyacano first came to JMU in 1999 as a SMAD transfer student and returned for a Master’s degree in English in 2005. From 2005-2013, he taught courses on Scriptwriting (SMAD 250), The Mind and Brain in Literature and Film, The American Dream, Critical Reading and Writing, British and American Literature, and Contemporary Poetry. A SMAD-declared advisor since 2005, in January 2014, he became the Advising Coordinator for SMAD and was recently the recipient of the 2014 Transfer Advocate Award. His interests include art house cinema, film adaptation, new media writing, and the art of video games.